With the arrival of ICD-10 and new alternative payment models (APMs), the importance of a strong clinical documentation improvement (CDI) program has become even more significant. Tricky documentation disconnects among technology, physicians, coders, workflow, and payers have emerged. And new issues are becoming evident as documentation specialists gain more experience in working with ICD-10 protocols. With the one-year grace period for physician documentation specificity set to conclude and thousands of new codes being introduced on October 1, now is the time for health care systems to upgrade their CDI programs and services. Specifically, organizations must consider addressing six internal documentation issues and be alert for seven red flags to avoid with payers. Health care systems require documentation to fill in coding and quality gaps and to help provide continuity of care. Correct and complete documentation is required to support ICD-10, comply with quality measures, and ensure care management protocols are followed. This will be especially important in the world of value-based reimbursement. • CDI programs began with a focus on reimbursement, but quickly shifted to concentrate on quality outcomes. • Staffing is an issue. There is a shortage of qualified CDI specialists and ongoing budget limitations limit program expansion into outpatient and other settings. • CDI directors need stronger reporting and data analytics support. The biggest CDI challenges under ICD-10 relate to the increase in clinical specificity and how to achieve more granular levels of clinical documentation compliance. From software to payers, new gaps in communication and workflow must be bridged to advance programs and ensure timely, accurate revenue cycle management. The following are six documentation culprits to conquer. ICD-10 increases the amount of push and pull between EHRs and diagnosis specificity tools within coding software systems. Decision tree tools embedded in coding software drill down to the specifics of each diagnosis. Complications arise when physicians struggle to correctly use the calculator and succumb to choosing unspecified codes. Specificity tools can provide correct coding and documentation, but educating physicians on how to adapt and learn these new tools is a fluid process. CDI teams can help physicians navigate specificity calculators during the documentation process and teach them how to apply the tools. For example, consider a patient presenting with fluid overload who has been noncompliant with dialysis and has a history of congestive heart failure (CHF). The physician must know to choose the option of fluid overload due to noncompliance and state that there is no cardiogenic cause for the fluid overload in order for the software to not code CHF. It is important for physicians to not only know how to use the specificity presented in the EHR decision-making tools but also be adept at documenting beyond the software to code the case appropriately. When too many diagnosis choices are presented, disconnects emerge. In general, health care systems must know their high-volume coding and documentation needs and then bring the right professionals to the table for meaningful discussion that can lead to change. Since CDI specialists historically bridge the communication gap between physicians and coders, they are in the right space to perform that task. When coders, revenue cycle, and clinical documentation specialists collectively discuss concerns and what changes need to be made, the entire process becomes more accurate. Case managers are also important cogs in the documentation improvement wheel. They can uncover improvement opportunities in patient care workflow to ensure poor documentation does not impact reimbursement negatively. The key players in the process, including financial representatives, CDI specialists, and coders, help case managers understand and manage medical necessity to facilitate a team approach to patient care and reimbursement. There sometimes is a disconnect between how physicians and hospitals view clinical documentation. Realigning workflows between the two ensures each party is on the same page. The keys to this realignment are education and communication. Take for example a provider who documents sepsis. When the sepsis resolves, the clinician no longer needs to document sepsis to justify its presence. At this point in the encounter, the physician reimbursement and the hospital reimbursement regarding sepsis are different. Therefore, physicians and hospitals must establish a mutual understanding about the diagnosis through communication. Delivering effective queries with minimal interruption to physician workflow helps boost communication. When it takes too many steps to answer a query, communication between physician and hospital deteriorates, making the process impractical and ineffective. All too often, physicians acknowledge the query, but don't address it. To avoid this practice, write queries as progress notes and save them in the record. This way, queries get flagged within the EHR and require a physician signature. Once the physician signs and enters, the query is complete and becomes a permanent part of the record. Work with IT to create a shared progress note that the physician can answer and sign as part of the permanent medical record. Communicate all software changes to each team member. As audits reveal new areas of weakness, actively manage templates and queries. Documentation and coding audits have increased under ICD-10. In lieu of payer denials, audits have become important indicators of reimbursement issues that may lie ahead. Ask yourself the hard questions. Where is our documentation falling short? Which coding workflows are giving us problems? Are there particular physicians who could benefit from additional training? How will these errors impact our revenue management over time? Getting an early handle on the specifics of potential problem areas will present opportunities to tweak education and increase communication ahead of the denial deluge expected to occur once recovery audit contractors and other auditors begin reviewing cases coded in ICD-10. Education efforts should be tailored to the organization's specific areas of weakness. ICD-10 has made everyone from executive leadership to front office staff more cognizant of documentation specificity. Leverage that awareness, fine-tune it based on audit findings, and conduct remedial education one area at a time. 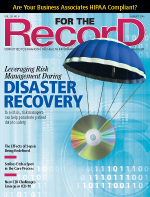 Payers are looking for providers to appropriately document patient records over time. Monitoring outcomes—based on clinical documentation—from the very first patient encounter to subsequent outpatient therapies and specialty treatments will be imperative under APMs and value-based reimbursement. Patient calculations are being closely monitored as the possibility of financial penalties growing over time looms over health care organizations. Documentation across the continuum is also imperative for patient safety and quality care. As a patient moves from hospital to physician, correct documentation is critical. One treatment builds upon another. Unresolved queries stay on a record as unresolved and can lead to duplicate or inappropriate care. The biggest risk is that a clinician doesn't understand exactly what happened with a patient and provides inappropriate treatment. Focus on maintaining correct documentation during care transitions and across all care settings. For example, talk to providers about the specifics of a pneumonia diagnosis, then move the case to the most appropriate diagnosis and level, one that is properly documented and reimbursed. With payers, be careful not to flag documentation as dishonest. Denials are costly, and it's hard to recover from an ongoing pattern of faulty clinical documentation that leads to a series of audits and appeals. • Cloned notes: When the same progress notes are used over and over and new elements in ICD-10 are not referenced, payers take notice. Also, notes that sound like generic application of a repeated diagnosis as opposed to unique, patient-specific documentation raises payer antennae. • Procedure coding: Payers are much savvier with ICD-10-PCS than their hospital counterparts. Since procedure coding has changed drastically in ICD-10, payers are looking for accuracy and specificity. Certain specialties, such as neurosurgery, garner particular attention. • Unspecified codes: In ICD-10, the use of unspecified codes is the primary reason for denials. To a payer, it looks as though the provider was simply too lazy to correctly document and code the diagnosis. The use of unspecified codes should be restricted to only exceptional cases. • New ICD-10 codes: Providers must familiarize themselves with the upcoming code changes effective October 1. Determine whether the changes present opportunities to increase revenue based on hospital type, diagnoses, and specialties. Also examine high revenue areas to ensure they will continue to be coded appropriately for maximum reimbursement. • Specialty areas: Certain specialties, such as orthopedics, cardiovascular surgery, and neurosurgery, require more detailed codes under ICD-10. Make clinicians aware of the changes specific to their specialty's high-volume codes. • Upcoding and downcoding: As the level of coding evolves, ensure physicians, coders, CDI specialists, and financial team members know the level of coding required to ensure reimbursements are accurate and to mitigate risk. • Software glitches: Templates and queries within software are only as good as the data entered. It's important that providers continually test their software and data entry protocols to ensure the correct and complete data are being provided to payers. As ICD-10 rolls on, awareness of some of the tricky scenarios around correct documentation can make a huge difference for providers, hospitals, and health systems. Strengthening your documentation protocols through education, teamwork, and communication helps organizations make great strides toward better coding compliance, revenue management, and patient care. — Amber Sterling, RN, BSN, CCDS, is director of CDI services at TrustHCS.